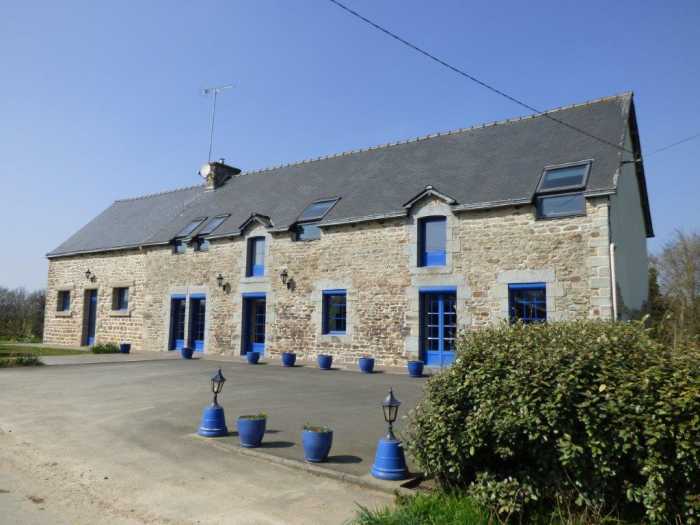 Nicely renovated detached longère on over 2 acres of garden. Ground floor: large living room (fitted and equipped kitchen, dining and sitting room), 2 bedrooms, WC, shower roon, utility/back kitchen, storeroom. First floor: 4 more bedrooms (one of which is en-suite), shower room, WC, and in addition a spacious room.